Joe Shockman, mailed me because he had found this page here on the Classic Opel Spares Blog. 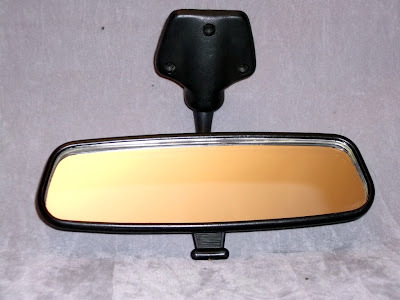 He had heard that the Opel Manta mirror will fit the Opel GT and wanted to "give one a shot". His current mirror was propped between the dash and windshield, which, as he put it "is suboptimal". Shipping from the UK to California with some careful packing to take advantage of "Small Packet" airmail was surprisingly economical at around £7. I have had no reports yet from Joe, so I have to assume that, as my mother used to say, "No news is good news".